Wood Buffalo National Park is one of the largest preserves in the world. M and I recently drove through a small part of it. We saw bison (buffalo) of course but also bears. 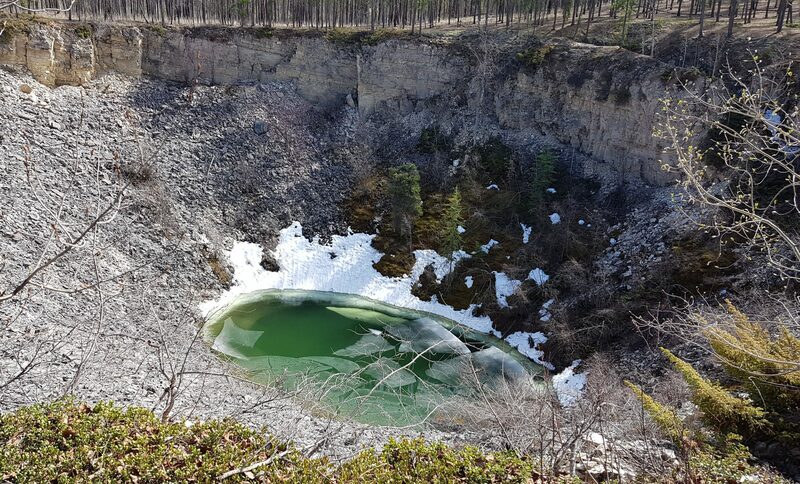 It was the middle of May but there was still a little ice and snow at the bottom of it. 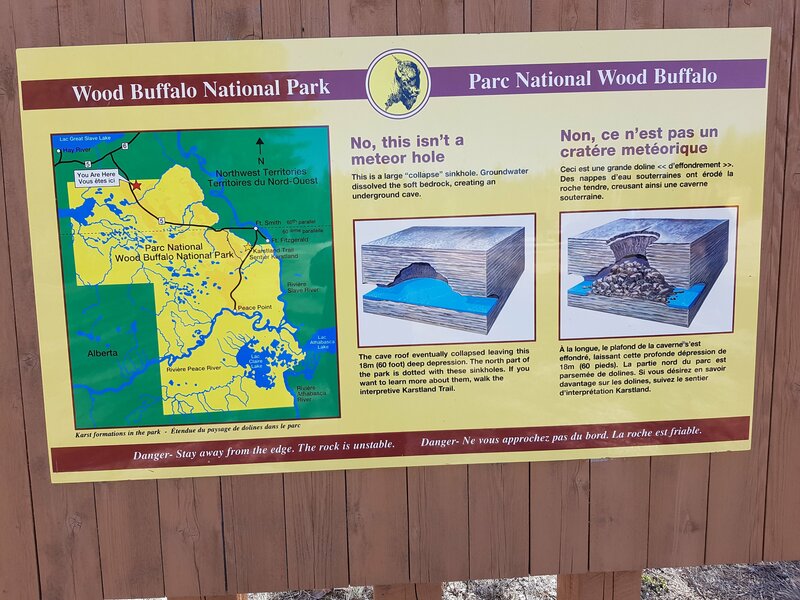 We didn’t see any whooping cranes – this park has one of the largest whooping crane nesting sites in the world – but had a very interesting short visit to an environmentally sensitive and important area. Have you been to a park lately? must be Limestone bedding?Karst topography. have you taken it ? I remember seeing bison and bears for the first time in Yellowstone. They are really awesome creatures. I don’t understand why anyone would want to shoot animals. I can understand shooting animals if they’re needed for food, but for most of us, that’s simply not the case. And I don’t get trophy hunting at all. Great place to visit and good photos. Thanks. 🙂 It is a good place to visit. Always wanted to visit here. Maybe some day. Great pix.